A couple of months ago, I signed up for HouseParty.com. 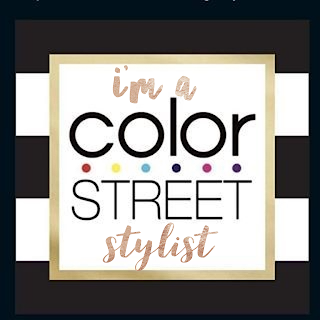 It's a free site where you register to throw a party for your friends in your own home and get exclusive access to try new products from participating brands if picked. Basically, they set the theme and send you a party in a box from sponsors. You then share feedback and photos. 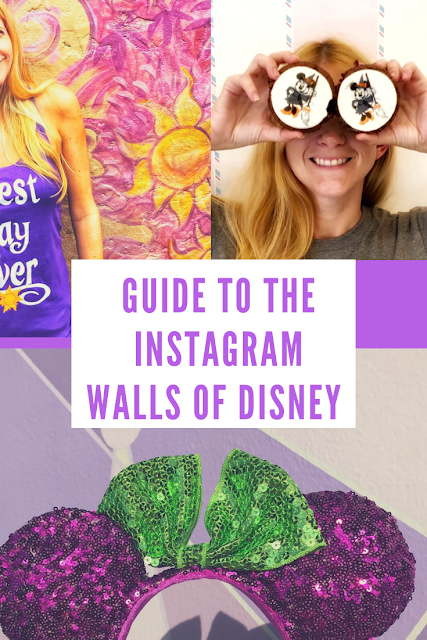 You do not have to be a blogger to host a party and are not required to write about it either. 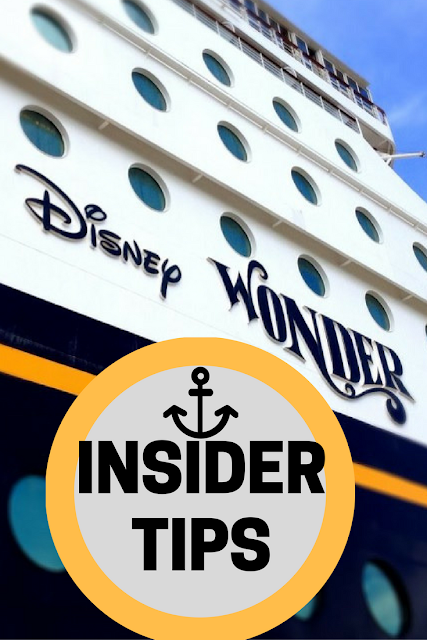 I'm just doing this post because I had fun doing a recent party and want to share some of my party ideas. I had signed up to host a few of their parties, but apparently didn't qualify for any of them. 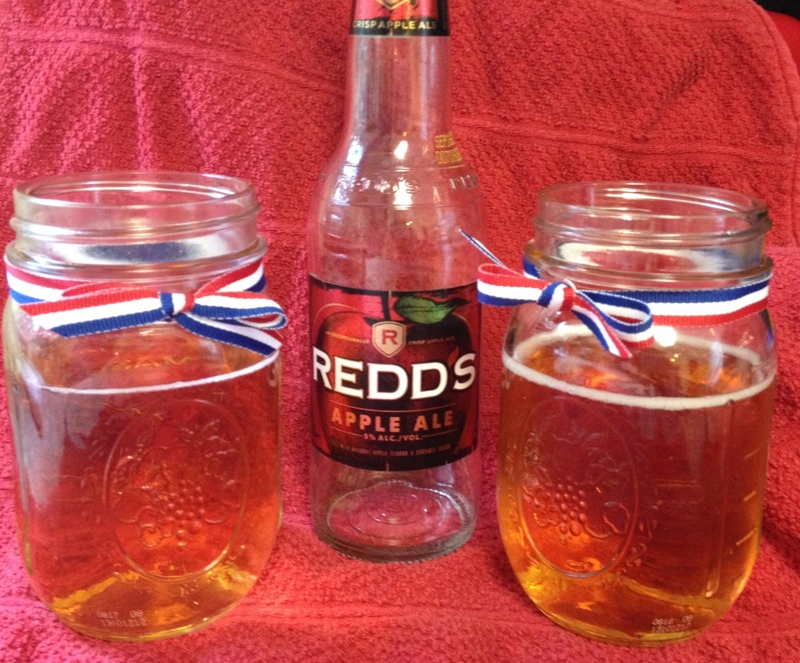 I was finally selected to host a Redd’s Apple Ale Red, White and Blue BBQ party on 4th of July. I saw the commercials for the apple ale and was curious about how it would taste, so I was excited to try it. I also enjoyed the patriotic color theme. For a welcoming entrance my friend and I made sifted flour stars on the grass in honor of the 4th of July! 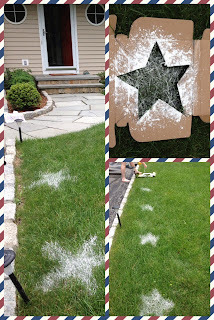 First, we cut a star shape out of a box of cardboard and used it as a stencil to create fun white stars on the grass leading up to the entrance of my house. I love that we didn't have to use paint or anything permanent. Instead, we used flour to sprinkle the design into the turf (you could also use corn starch or baby powder). Thus, It's a festive, but temporary decoration for any party. It was also fun and easy to do. See my pic above. 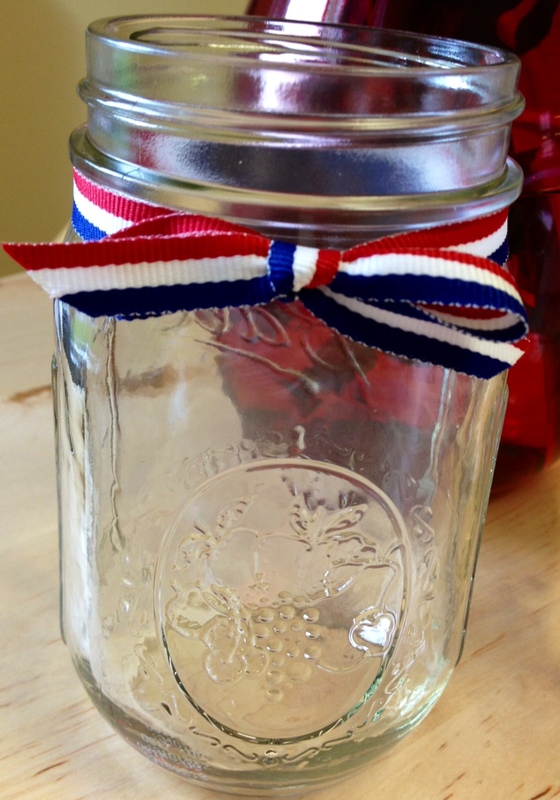 We also tied red, white and blue ribbons around mason jars and used them to serve the beverages. My nails went red, white and blue too! They made me smile every time I'd look down at them. 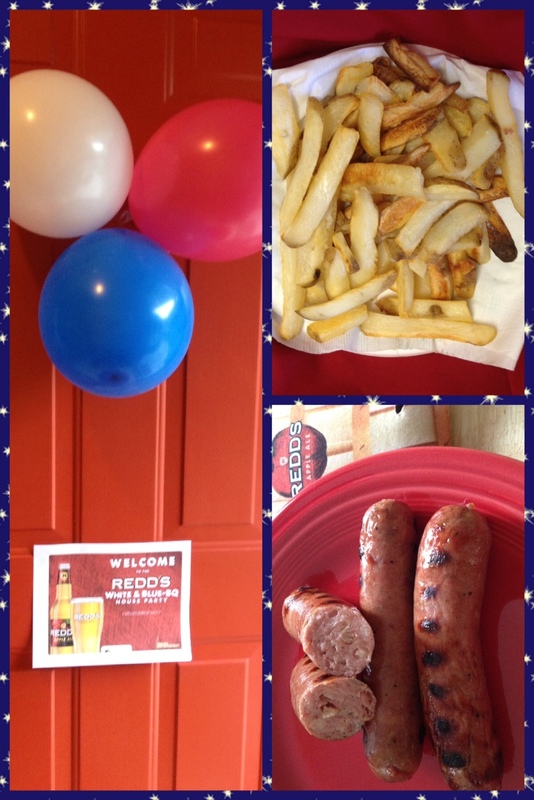 Plus, a party wouldn't be complete without balloons, which we put on the front door as well as a Redd's Apple welcome sign (see below). I actually liked it straight, which surprised me since I'm not a beer drinker, but this had a crisp more refreshing taste without that typical beer smell either. It's stronger than beer at 5% alcohol, but you wouldn't know it by tasting it. I liked it even more when made into the following cocktail. 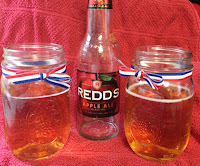 I used the ale to make The Modified "Reddhead" cocktail where I mixed in 7up and a splash of cranberry juice to the Redd’s Apple Ale and and served it over ice and in the decorated mason jars. Yum! My husband and friends liked the mix too. 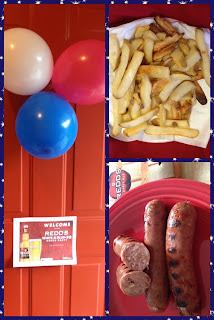 We grilled Chicken Apple Sausage on the grill to compliment the drink and I baked CravOn fries -- the never fried french fries, which only five ingredients: potato, olive oil and sea salt for flavor, caramel color and annatto, a natural plant-based color. I've actually been using CravOn as a side for a lot of meals lately, since they taste so good. Find CravOn in stores in the frozen food aisle. Also, if you live out in Los Angeles they have a CravOn Food Truck that gives out free fries. Check out the schedule here.